We know your vehicle. At Kendall Acura, our manufacturer-trained technicians won’t just perform a routine oil change, they will make sure you get the right oil for your car’s make and model, your car’s mileage, and your driving habits. In newer vehicles, you make be surprised to know that you don’t need to change your oil as often as you think. Certain vehicles can manage up to 10,000 between oil changes. Consult your Kendall technician to find out more about your car, truck, or SUV’s specifications. 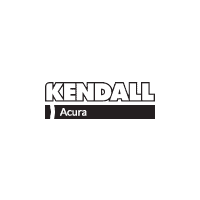 When you visit Kendall Acura, we’ll make sure your vehicle is checked properly. Our complete vehicle checkup includes an oil change, tire rotation and pressure check, brake inspection, Multi-Point Inspection, fluid-top off, battery test, filter check plus belts, hoses check, and more. When you visit the Kendall Acura Service Department, we’ll make sure your vehicle is checked properly. Our complete service checkup includes an oil change, tire rotation and pressure check, brake inspection, Multi-Point Inspection, fluid-top off, battery test, filter check plus belts, hoses check, and more. Be sure to check out our service specials to find oil change coupons, specials on tire rotation, and much more.